What Happens in Acid Reflux? Under the normal circumstances, when we swallow the food, our lower esophageal sphincter opens just enough to pass the food to the stomach and then quickly shuts again. In some cases, when people suffer from gastroesophageal reflux disease or GERD, valve of the esophagus can lose the strength. Content of the stomach can then easily go back to the esophagus and this is known as acid reflux. People experiencing this problem usually feel intense burning sensation (or heartburn). Many will localize the heartburn just under the breast bone and it frequently happens at night. Acid reflux is not something that should be taken lightly, and it really needs to be diagnosed and treated properly. If the condition remains persistent, patients might feel a lot of pain, which in turn can affect their normal everyday actions. Also, distress and pain could impact the esophagus, leading to damage of the esophageal lining, chronic inflammation and in some cases even esophageal cancer. Medications used as therapy for acid reflux can be easily found in many drugstores, and there are both non-prescription and prescription drugs. When you visit the doctor, complaining about the heartburn, many of them will automatically recommend medications, to ease your symptoms immediately after the use. However, the drugs can’t fix the cause of the problem, but only provide temporary solution. There are 4 groups of medications used as acid reflux treatments, including: antacids, H2 receptor antagonists, proton pump inhibitors and alginates. Antacid drugs can neutralize acid in the esophagus. These can be found as tablets, liquids, chewing gums or in many other forms and all of them can relieve your symptoms for several hours. H2 receptor antagonists, such as ranitidine, famotidine or cimetidine, are antihistamines, and they can reduce the secretion of gastric acid for 12 hours. 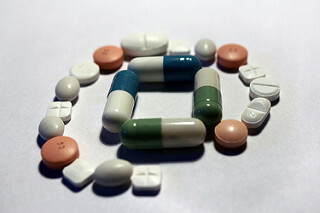 Proton pump inhibitors or PPIs work by creating obstacle for stomach cells, stopping the production of stomach acid, while alginates encapsulate the content of the stomach, reducing the heartburn. All of these drugs work for some time, and their action is not permanent, which mean they can’t bring permanent relief to patients suffering from acid reflux. If anyone tries to use these medications for a long time, he or she might encounter secondary effects of the drugs. These may include headaches and diarrhea. Osteoporosis has also been linked to long term use of acid reflux drugs and might be considered as potential side effect of these drugs. What is Mylanta Gas maximum strength?